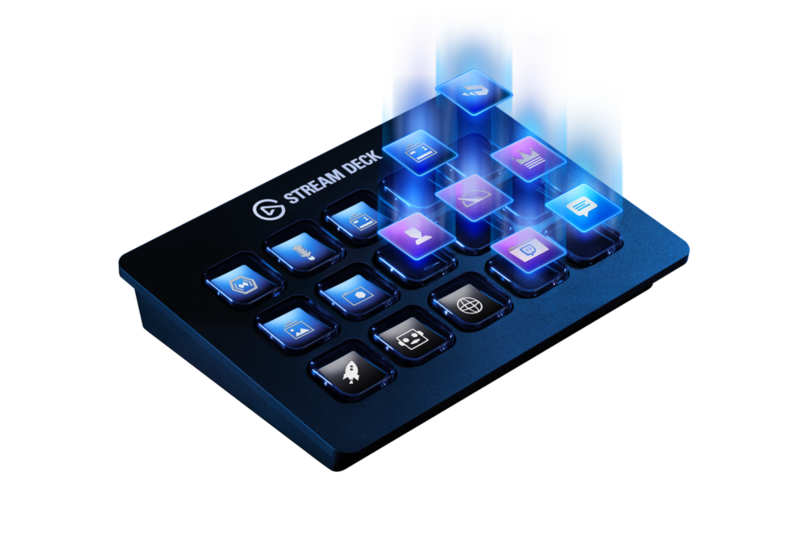 Stream Deck puts 15 LCD keys at your fingertips for ultimate studio control. Simply tap to switch scenes, launch media, tweet your feats and more. Personalize your keys with custom icons or choose from hundreds, and get visual feedback every time you execute a command. With Stream Deck, maximize your production value and focus on what matters most: your audience.